Iranians will go to the polls Friday, the same day Donald Trump begins his first foreign trip as U.S. President arriving in Saudi Arabia, where the kingdom's leaders vowed this month to start "the battle against Iran." Trump and America have figured prominently in Iran's presidential election campaigning with hardliners on the Principilist wing of Iranian politics claiming the legacy of Ayatollah Ruhollah Khomeini, founder of the Islamic Republic of Iran, who used to argue, "All our troubles are caused by this America." Seemingly encouraged by the country's Supreme Leader, Ayatollah Ali Khamenei, hardliners have accused incumbent Hassan Rouhani of wanting to import Western decadence and to open up Iran to the destructive power of U.S. business. At the same time, they've focused on economic populism, denouncing Rouhani, a pragmatic Conservative, for failing to alleviate poverty and to provide the economic benefits he promised would flow from the signing of a nuclear deal with global powers. 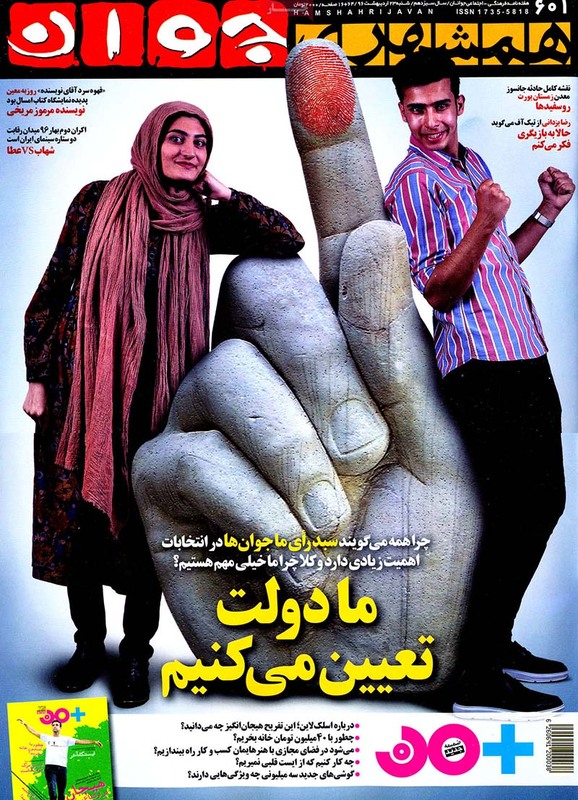 The hardliners' message may be contradictory, but their labeling Rouhani and his supporters as elitists, combined with their campaign pledges to provide new monthly unemployment benefits and a public works program to generate jobs for the mostazafin (downtrodden) means the incumbent's re-election isn't certain. A bruised Rouhani may struggle to secure enough votes to avoid a second ballot, prompting some analysts to predict he might lose in a run-off against Ebrahim Raisi, a former prosecutor Khamenei has helped build up, appointing him last year to oversee Iran's largest shrine and its charitable foundation. "Rouhani may not be a sure bet," argues Exotix Partners, a U.S. investment firm in a note to investors. "Every president since the revolution has won re-election (i.e. enjoyed sufficient popular and deep state support) for a second term. Rouhani's (or, rather the Pragmatists') challenge is that the detente pursued with the West, i.e. conceding on nuclear development in return for partial sanctions relief, has not delivered as much economic benefit as hoped for. And the economy, as in most elections, appears to be the issue of most concern to voters," conclude the firm's analysts Hasnain Malik and Stuart Culverhouse. Raisi's challenge was boosted Monday by the withdrawal from the election contest of another Principilist, Muhammad Baqer Qalibaf, a retired general and now the mayor of Iran's capital, Tehran. 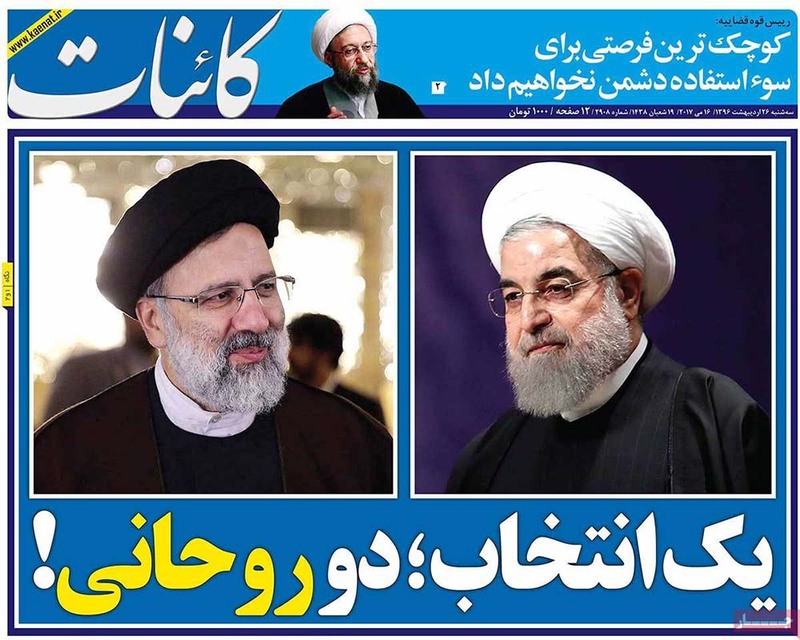 He has swung his support behind Raisi, leaving the former prosecutor as the lone hardliner challenging Rouhani, saying he was doing so for the "preservation of the interests of the people, the revolution, and the country." But it isn't clear that all Qalibaf's supporters will heed his call. On the Principilist [hardline] spectrum, Qalibaf is more modernist than Raisi, who as a prosecutor and revolutionary judge sent hundreds of dissenters and political prisoners to their deaths. Khamenei hasn't officially endorsed Raisi, but he has kept up criticism of Rouhani, which is at least marking out what Iran's Supreme Leader expects from a second-term Rouhani. In March, in an Iranian New Year speech, he announced the next 12 months would be the "Year of Resistance Economy" and in a video the same month he offered a thinly-disguised critique of the Rouhani administration, saying, "I am aware of the people's situation; therefore, I can sense the bitterness of the people, especially the lower classes, from economic problems such as inflation, unemployment, discrimination, equality and social harms." Last week, Khamenei maintained his drumbeat of disapproval of Rouhani, dismissing the idea that war with the West had been averted by the nuclear diplomacy and dismissing a U.N. education program endorsed by the Rouhani administration promoting gender equality and life-long learning opportunities. Khamenei and Raisi are "playing on old fears of international interference in an attempt to see off reform in the Islamic Republic," argues Sanam Vakil, an analyst with the London-based Chatham House. 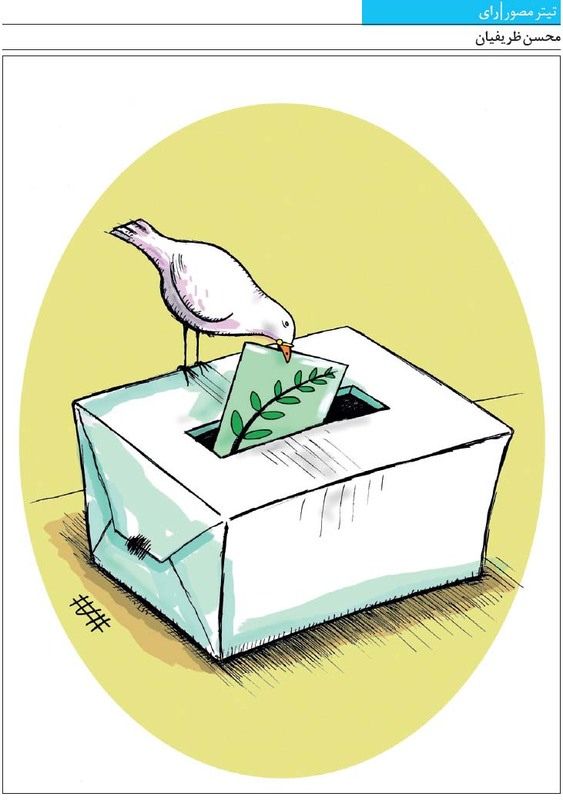 Some observers note the majority of Iranians tend to pick the "anti-establishment" candidate in the line-up of regime-approved contenders. That held true in 1997 with the election of reformer Seyyed Mohammad Khatami, who threw his support Monday behind Rouhani. In a video he argued Rouhani had managed "to make great accomplishments" despite "facing limitations, problems, and high expectations." 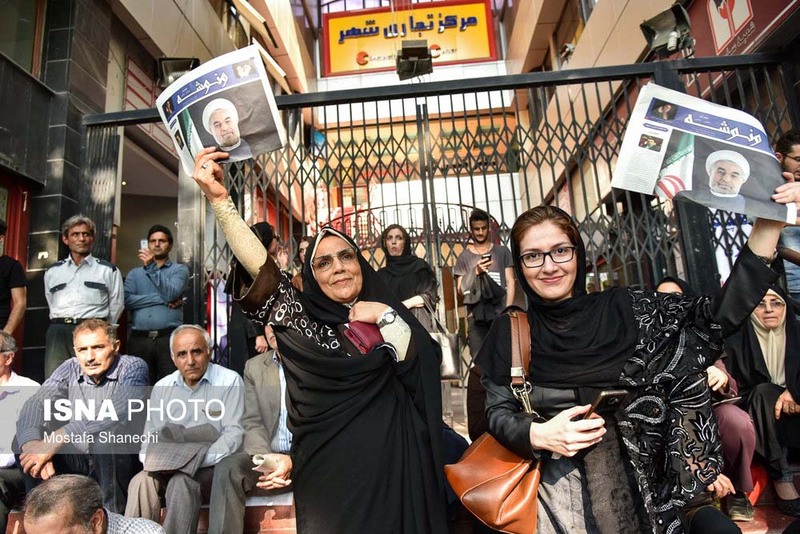 "A Rouhani victory would signal popular support for his policies of economic and political integration as well as moderation," according to Vakil. While a Raisi win "could usher in a more confrontational approach to domestic and regional policies," she warns.